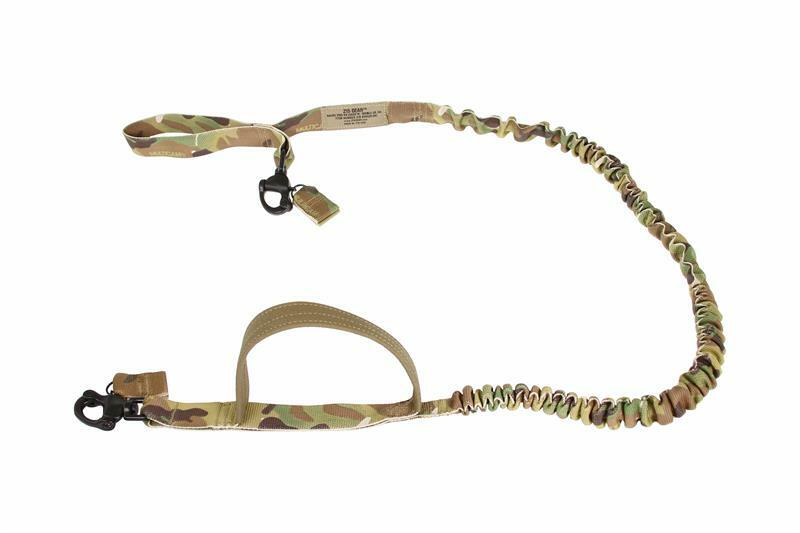 This innovative bungee type dog lead is designed to allow the handler to have both hands on his weapon. For situations that require more control a large formed Non-Slip control handle is placed close to the dog. 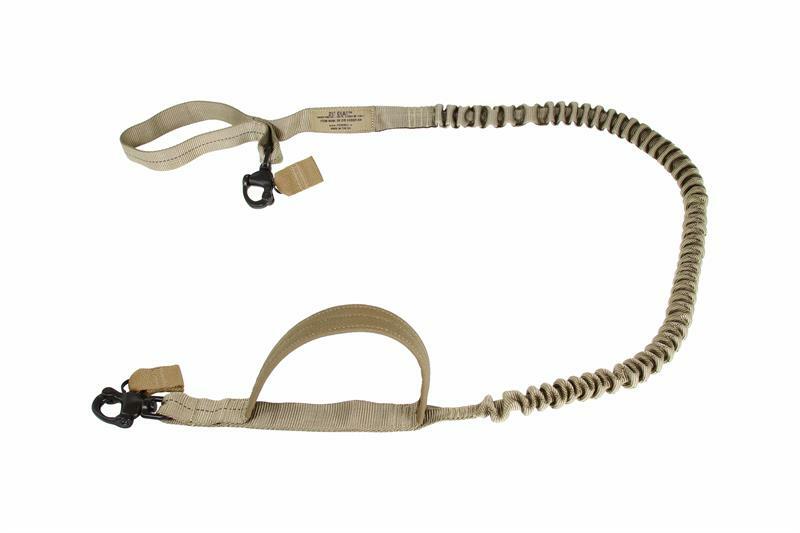 The other end is designed to attach to a common rigger's type belt, via a quick-release snap shackle. Sewn with a quick-release snap shackle close to the handler as well as a quick-release snap shackle close to the dog. The quick-release snap shackle on the K9 end swivels to reduce the line from tangling. Built to withstand the demands placed on the Military/LE working dogs. Made with all high quality Mil-Spec materials. Basic Dimensions 7' x 1” fully extended and 4' x 1" normal length. Product total weight 6 oz. 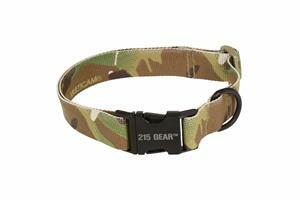 Designed for Military/ Law Enforcement Working Dogs. Made with high quality Mil-spec materials. 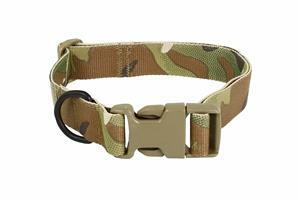 Designed for Military/ Law Enforcement Working Dogs.